Walter Ling, M.D., is Emeritus Professor of Psychiatry and Founding Director of the Integrated Substance Abuse Programs (ISAP) at UCLA, one of the foremost research groups focusing on substance use disorders (SUDs). Dr. Ling is board certified in neurology and psychiatry. He has been studying addiction and treating patients with SUDs for more than half a century. In addition to authoring hundreds of articles published in scholarly journals, he also recently published a user-friendly book on how to deal with SUDs: Mastering the Addicted Brain: Building a Sane and Meaningful Life to Stay Clean. 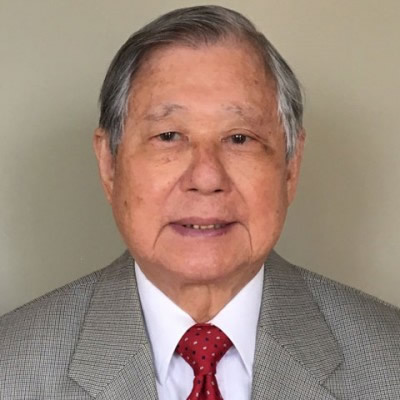 Dr. Ling has been conducting clinical research on opioid use disorder (OUD) for more than 50 years, on cocaine use disorder for more than 40 years, and on methamphetamine use disorder for almost 30 years. His research in pharmacotherapy for OUD provided pivotal information for FDA approval of LAAM, naltrexone, and buprenorphine (and their long-acting formulations) as medications for OUD. He has significantly advanced the science on behavioral and pharmacotherapy treatments for addictions and has improved the practice of helping patients who suffer with addiction. Dr. Ling and a few others perceived and wrote of addiction as a brain disease decades before it was in common parlance. Please describe a couple important advances you have been part of in addiction medicine research and practice. Seeing the genesis and development of promising medications for opioid addiction allowed me to be right there on the cutting edge in testing medications for OUD in clinical trials. When the crack epidemic was raging, we also tested about a dozen medications for cocaine use disorder, none of which were practical or adequately effective. Fortunately, care providers and the public are becoming increasingly aware that medication-based treatment is the right choice for many people and allows them to rebuild their lives to attain a more “normal” life. More recently, working with the Patient-Centered Outcomes Research Institute has reflected my approach to practice and research: incorporating the patients’ perspectives when making decisions about treatment. Patients with SUDs now have more choices of treatment and may have to try several options before finding one that works well. Addiction specialists now also have more choices to offer patients who were, not very long ago, shunned and stigmatized. These developments reflect a change in the nation’s cultural approach to people with substance use disorders, but it is a slow process. Interestingly, the criminal justice field in some states has been at the forefront of efforts to move people to treatment for SUDs instead of incarceration for drug crimes. What is your perspective of the opioid crisis now facing the nation? First, this is not a sudden occurrence. Opioids in natural form have been used for thousands of years, and in synthetic form, as medicines and as intoxicants, for hundreds of years. The current situation is a 40-year-old saga beginning with good intentions: treating patients suffering from chronic pain. Chronic pain was turned into a public health problem and treatment became a big business, which pushed the notion that opioids are good for chronic pain. Actually the evidence for that wasn’t very good even then, and now more scrutiny of how opioids themselves can induce hyperalgesia (increased sensitivity to pain) shows that long-term use of opioids is rarely a well-substantiated treatment plan. Furthermore, the various formulations of opioid medications have a role in escalating the problem of misuse of opioids for treatment of pain. Clinicians were led to believe by pharmaceutical companies that these opioids were benign medications not prone to abuse. Clearly, this was incorrect. Our current system of care has too many gaps and we are not effectively dealing with the opioid crisis. There are still a lot of overdose deaths and too little effort is dedicated to deal with the situation at the root level—which is to educate the patient population, families, and clinicians about problems with opioid medications, about the means to inhibit development of OUD, and about available treatments for OUD. Please describe how you see BetaHealth and BetaGov having an impact on the opioid crisis. Some of the most important aspects of the BetaGov and BetaHealth initiatives are to use proven approaches among patients with SUDs. Specifically, BetaHealth’s approach relies on patient-oriented techniques to go into the field to work directly with clinical staff and other agency personnel who are tasked with managing or caring for individuals with OUD. Perceiving people with OUD as patients with a chronic disease requires understanding them, listening to them, and engaging with them. We included such patient-centered work in a few of our projects, and I look forward to seeing that approach gaining ground in research involving BetaHealth in work with clinical partners on the OUD problem. Please tell us how you see your role as adviser to BetaGov and to other researchers. I am committed to providing my expertise in the area of SUDs, especially OUD, and as a consultant regarding general drug-use issues. I also provide input on the design and interpretation of clinical trials and practice-improvement efforts. Just to get a sense of what other interests you have, what do you like to read besides scientific publications? I like reading old books and am now re-reading the story of the Arabian Nights. I’m glad you asked because physicians should consider the “story” in treating their patients. Every patient has a story. Everyone says the care provider doesn’t have time to listen to the patient, but my point is that it is vital to get to know a patient’s story. Caring for patients is sort of like storytelling—you become part of their story and change their life. And it doesn’t take that long to listen to somebody’s story so you can learn more about their situation with addiction and their life.